"While recognising that great deeds have been performed in the past by men badly or crudely nourished, we affirm this truth: that we think, dream and act according to what we eat and drink." 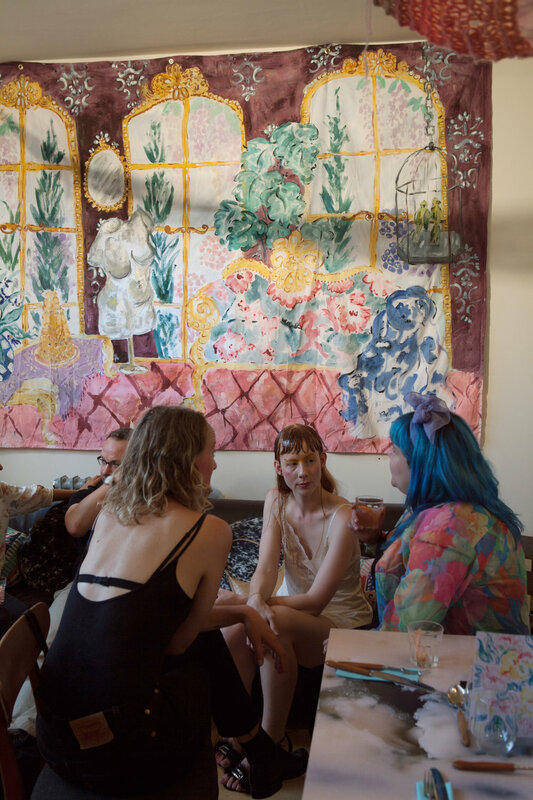 The Gramounce is a supper club to challenge the concept of the art gallery, question the relationship of artists and labour and successfully fund art projects. 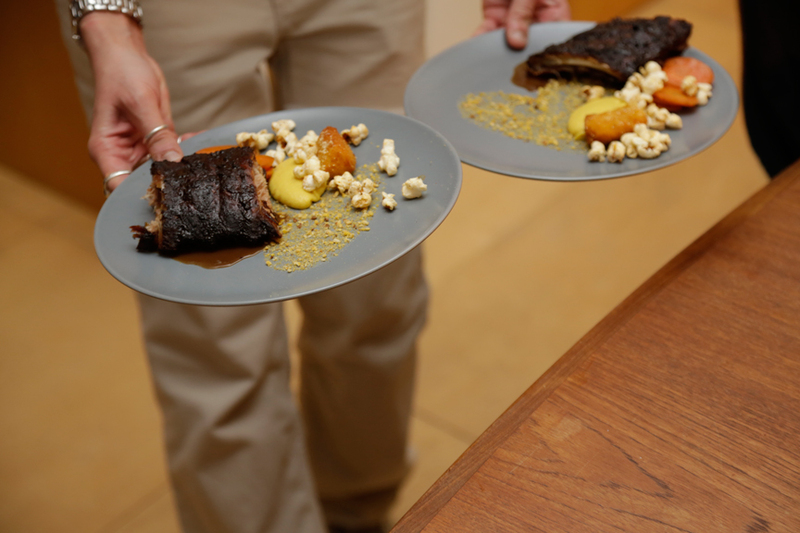 They aim to establish the meal as a new display context where the audience is comfortable to be able to access contemporary art. The guest’s attention is choreographed to better engage with the work shown. They organise dinners where an artist is commissioned to exhibit under the idea of the supper as an exhibition. The Gramounce is run by artists Nora Silva and Finn Thomson. Chef: Jake Norman of Sabor Restaurant. The Artist Dining Room is located at artist Yinka Shonibare’s Guest Projects space in East London. The Artist Dining Room collaborates with London-based chefs to hold a series of unique and bespoke artist-led supper clubs, offering an alternative dining experience where creative minds can engage and immerse themselves in the life and works of an artist through food. Previous supper clubs have been inspired by artists and art movements, including Louise Bourgeois, David Lynch, Kurt Schwitters, Jean-Michel Basquiat, Salvador Dalí, Andy Warhol, Richard Hamilton, Sophie Calle, Kara Walker, Nan Goldin, Francesca Woodman, Christo and Jeanne-Claude, Derek Jarman, and Leonora Carrington.